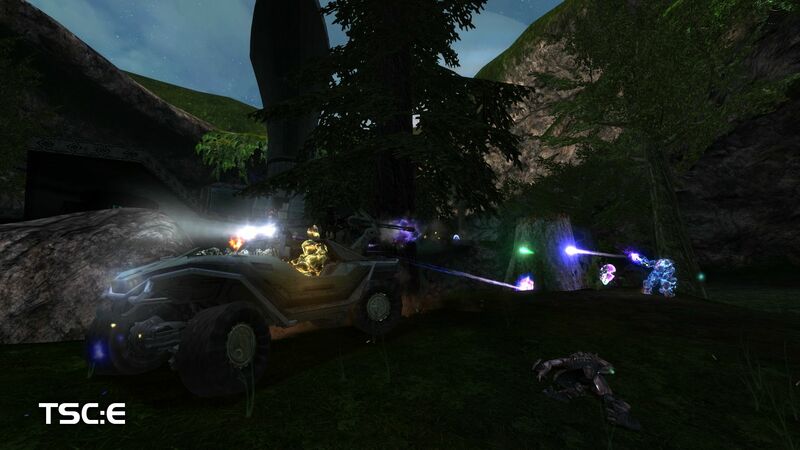 The Silent Cartographer: Evolved (TSC:E) is a ground-up re-imagining of the Halo: Combat Evolved map of the same name. The map comes with an all-new layout, a vast array of custom content, a reconstructed weapon set emphasizing improvisation and variety in tactics, and plenty of hidden secrets to discover. 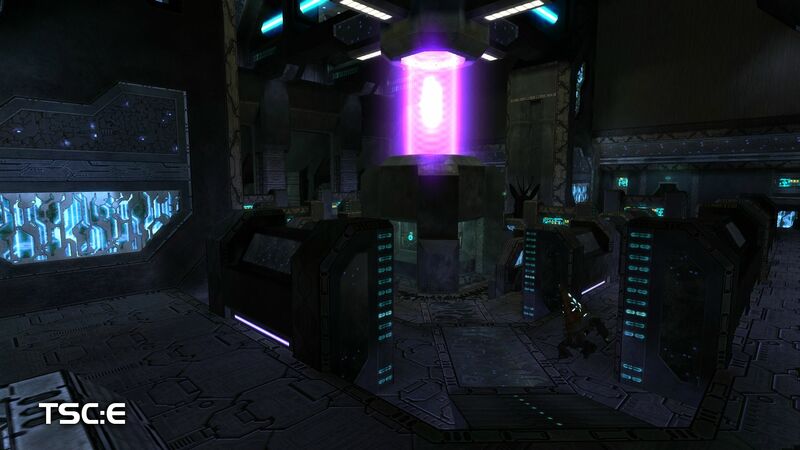 It is the final Halo CE project for many of CMT's members - a labor of love and hate spanning almost three years of development. TSC:E makes use of Open Sauce, a community-made game extension that enables many new features, from upgraded visuals to new gameplay mechanics. Open Sauce is required to play TSC:E -- the map can't exist without it. At the time of writing, OpenSauce's public releases are available here: https://bitbucket.or...lease/downloads . The map requires Open Sauce version 4.0 (or newer). Open Sauce 4.0 requires a properly-installed copy of Halo Custom Edition, updated to 1.10. See the installation guide if you don't know how to get these. This map comes with a user manual providing information on difficulty and weapon usage (among other things). 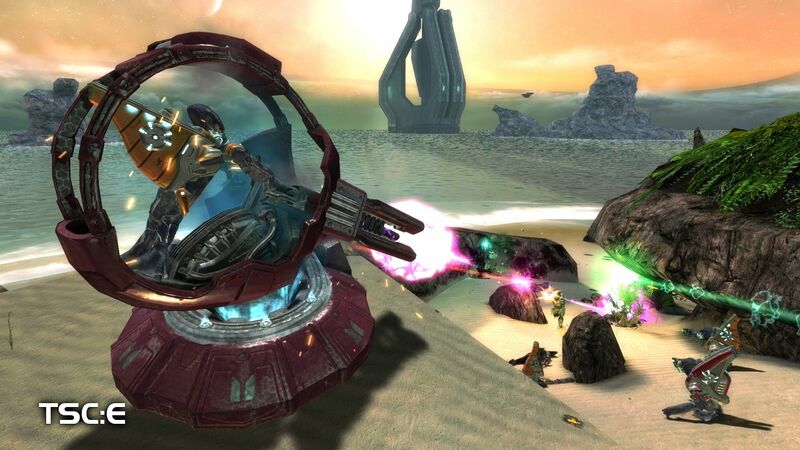 Evolved treats difficulty and many weapons differently from some other Halo games - which may be disorienting to new players - so be sure to read the manual! Issues encountered while playing the map may be reported in this thread. The map does have a few rare (but known) issues, which will be addressed if possible in maintenance releases. If you are reporting a crash, be sure to include your crash dump (if you have one). If the game crashes with Open Sauce installed, you can find the crash dump on your computer in My Games\Halo CE\OpenSauce\Reports\CrashRpt. If you are encountering an Open Sauce-specific issue, please direct your reports to the issue tracker at https://bitbucket.or...ensauce-release . The source release for this map is underway! The core tagset for the CMT Evolved project has been posted here: Evolved tagset released! The raw source files for the BSP and other scenario objects have been posted here: Raw BSP source released! The scenario tags and Evolved scripting source files have been posted here: Scenario tags and scripts released! A bonus set of Armor Ability tags (and other bonuses) have been posted here: Armor Ability tags and other bonuses released! We urge you to use caution if you choose to extract tags from the map. Open Sauce and the HEK+ do not get along well, the HEK+ is known for corrupting tags in general, and there are many aspects to the Evolved tagset that have the potential to cause serious problems with other tagsets if you don't know exactly what you're doing. (We also encourage you to have a heart before you make CMt Evolved Reach_gultch). More details are provided in the map file's release, in "readme_for_ripping.txt". This will likely be the final patch for the map. We've fixed all that we have the remaining energy to fix. Having trouble uninstalling my old OS tho. How did you do multiple directional lightmaps? The tech is backed by an Open Sauce shader extension that FS authored. The lightmaps were rendered using 3ds max and some specialized tools provided in the OS release. What about the boarding script? Boarding is now fully implemented via tags - another thing that FS added to OS. No more hack-y scripts needed to do vehicle boarding! I want YOU to make a contract with me. Also there were ODST killing each other earlier...And a nice portrait of chief. Dat lanky middle finger. So far this Noble gameplay has been quite the treat. Continued, soooo glad I did. sorry to ask such a stupid quiestion but...how do i uninstall it ?? sorry to ask such a stupid quiestion but...how do i uninstall it /> ?? Just delete the .yelo "map" from your maps folder. I waited a year for this this must be worth it! Yeah the Animation framerate is locked at 30 frames per second meaning they move 30 frames a second and you move at like at 100 frames. So I actually got a new laptop in December, installed custom edition and OS, downloaded and extracted all the maps, blah blah, but then when I booted up the game everything was in Spanish? Make sure you downloaded the right version of Custom Edition and not the Spanish one. So, I just found out that you can get into the "driver seat" of the pelicans. Do you guys have any particular plans for this? Also, that one cave with the light shafts was absolutely marvelous. I legitimately paused to take a longer look.